Viola Davis will close the 2018 Annual Conference as she discusses her children’s book, Corduroy Takes a Bow. Illustrated by Jody Wheeler, Davis celebrates 50 years of America’s favorite teddy bear with a brand new, classically illustrated picture book. Using her own experiences as a Tony Award-winning Broadway actress, Davis writes the story of Corduroy and Lisa's first trip to the theater. As usual, Corduroy adventures off on his own, and readers follow his escapades as he explores all over-- from the orchestra pit -- to the costumes rack-- to the props table--and ultimately onto the stage itself before being reunited with Lisa. A beautifully illustrated tale with a classic feel, sure to spark an interest in theater in children of any age, the book will be available Fall 2018. 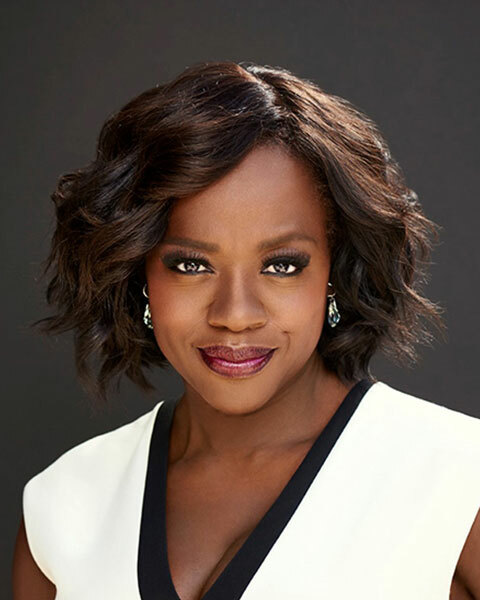 Viola Davis is a critically revered, award-winning actress of film, television and theater. She is the first black actress to win Tony ("Fences" & "King Hedley II"), Oscar ("Fences") and Emmy ("How to Get Away with Murder") awards for acting. Davis is currently starring in the fourth season of How to Get Away with Murder, a role for which she became the first African American actress to receive the Emmy Award for “Outstanding Lead Actress in a Drama Series".” In 2012, Davis and her husband founded their production company, JuVee Productions, with its focus being on giving a voice to the voiceless through strong, impactful, and culturally relevant narratives. Davis will next star in Steve McQueen’s "Widows", alongside Colin Farrell and Liam Neeson.